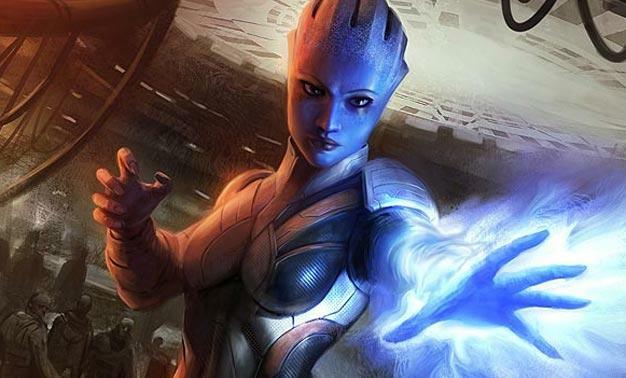 Mass Effect 2 DLC, Liara’s next? Mass Effect 2‘s next round of downloadable content may take players on a mission with Liara T’soni, audio uncovered from the game’s PC version suggest; the files come complete with Liara’s name and “DLC” in the file names which, combined with the fact that the recently released Kasumi character DLC was first discovered in a similar fashion, makes the possibility seem quite plausible. As heard from the somewhat spoilerrific clip below, Liara joining Shepard’s suicide squad doesn’t seem likely. However, the two do appear to go galaxy hopping in search of the elusive Shadow Broker.